The March for Science is taking place throughout April, with most events taking place on Saturday, April 14th in hundreds of locations. 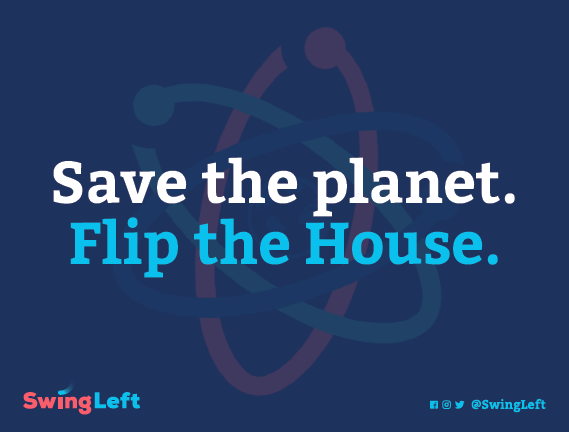 If you're heading to a march, you can protest and help flip the House. Spread the word about Swing Left at the march. 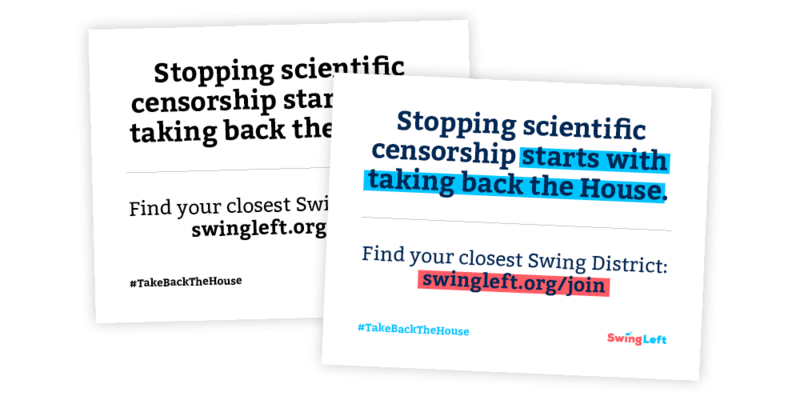 Sign up volunteers, or direct people to swingleft.org/join to find their closest Swing District and get involved. Check out the guide—plus protest signs and flyers you can print yourself. Post-card sized flyers. Print these out to hand out at events. They can be printed at home, via a local printer or on VistaPrint.com. 8.5" x 11" signs can be printed on a standard piece of letter-sized paper. Assemble-at-home signs can be printed on multiple sheets of letter-sized paper and cut and pasted to a standard-sized poster board, which is 22" by 28". 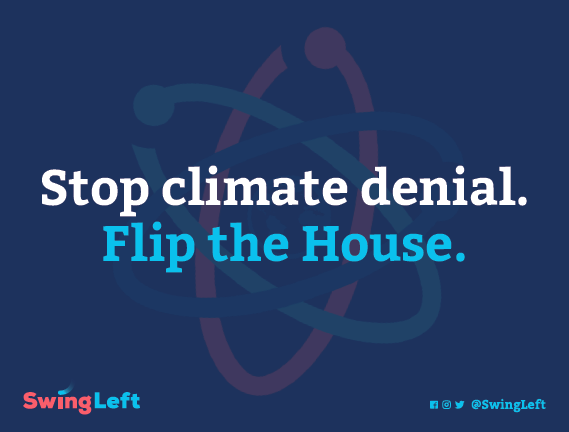 Twenty-one Republican incumbents from Swing Districts have made public statements rejecting established climate science. You can post these images to social media or print them for a march. 2.5’ x 6’ banners. These are great for carrying in a march, draping at the front of a table, or hanging up in a booth. Produce with a local printer or at Vistaprint.com. Know other people who are marching? Share these resources and ask them to pitch in!